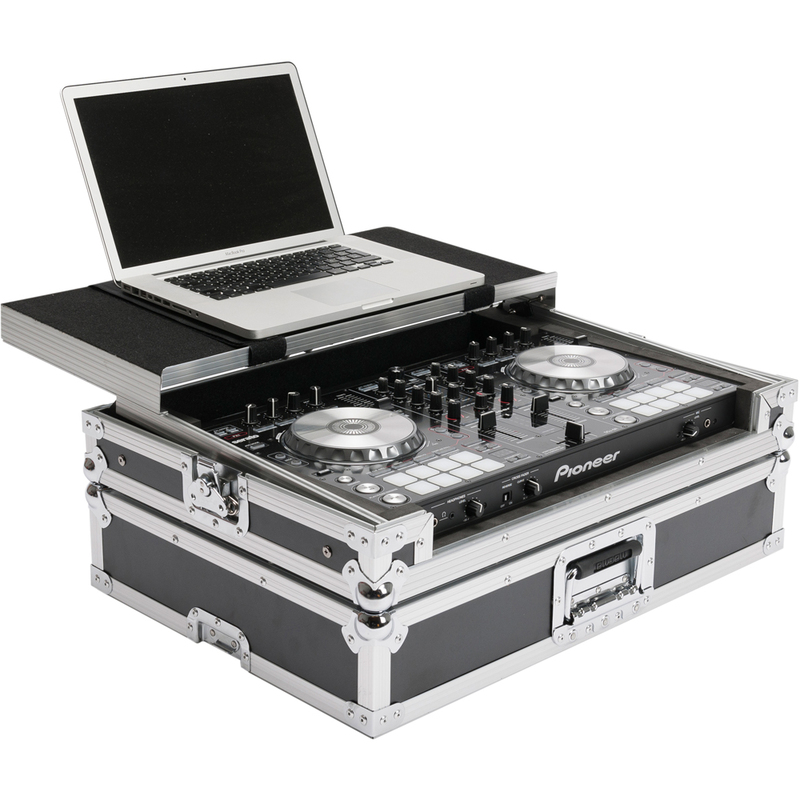 This Magma DJ-Controller Workstation is the perfect solution if you are looking for a durable flight case for a Pioneer's DDJ-SR. 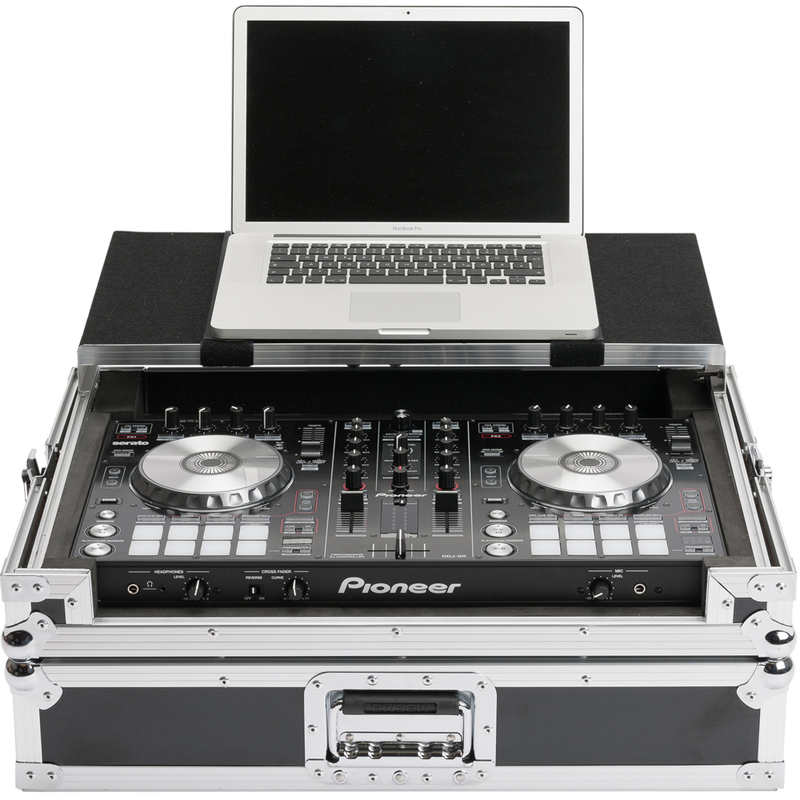 Customized to hold the new Pioneer DDJ-SR DJ-Controller and an Laptop. Crafted from 9 mm vinyl laminated plywood, sturdy aluminium profiles and heavy duty butterfly latches, it provides you with secure transport and workstation in one. Thanks to the integrated gliding laptop platform and the convenient cable access port, the setup is ready for action in no time at all.